Duration:Approx 1 hour 15 mins. 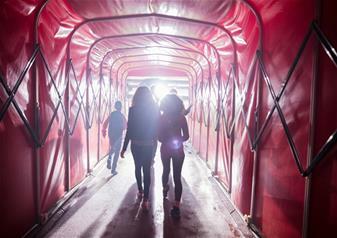 Emirates Stadium Tour: Follow in the footsteps of all your Arsenal heroes taking a look behind the scenes of this stunning stadium. You will have the opportunity to see all the areas within this magnificent arena which are crucial to the team on a match day - from a walk down the players' tunnel to a seat in the dressing room. 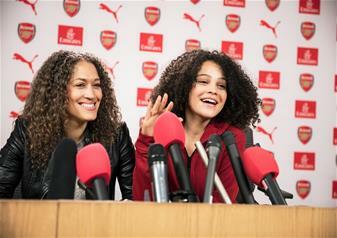 On the standard tour, you will also be able to visit the Directors Box and the Press Conference facilities. 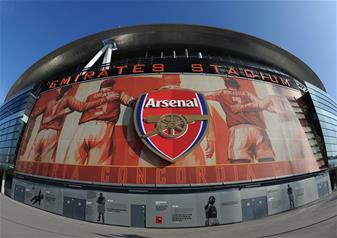 The Emirates Stadium has quickly established itself as one of the most stunning and spectacular sports stadiums in the world. Along with brand new state-of-the-art facilities, the club have managed to incorporate stunning features from their former stadium Highbury and added some personal touches from their inspirational Amanager, Arsène Wenger. 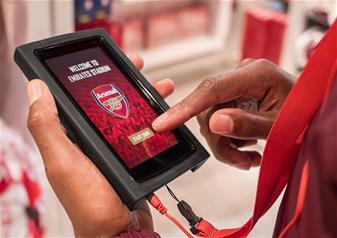 Self-Guided Audio Tour: Let Jack Wilshere, Theo Walcott and a host of other Arsenal stars share their match-day experiences with you as you explore behind-the-scenes at the Emirates with new audio tour. 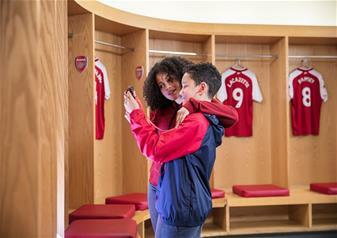 Hear from the boss as you take your place in the home changing room, listen to the roar of the crowd as you walk down the tunnel to the pitch, and explore our museum and test your club knowledge against one of our Arsenal experts. Plus much more. Museum: Located in the Northern Triangle Building. 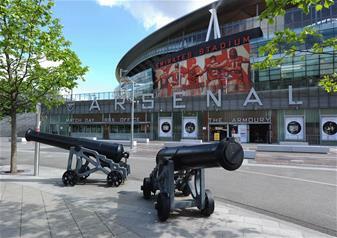 The Arsenal museum contains fantastic interactive displays suitable for all ages along with a complete history of Arsenal Football Club from their origins at Plumstead Common through to the magnificent Emirates Stadium. Long term museum exhibits include goal scorer Michael Thomas’ boots from Anfield ‘89, Charlie George’s FA Final Cup shirt from 1971 and the shirt worn by Alan Smith in the 1994 European Cup Winners Cup Final victory.